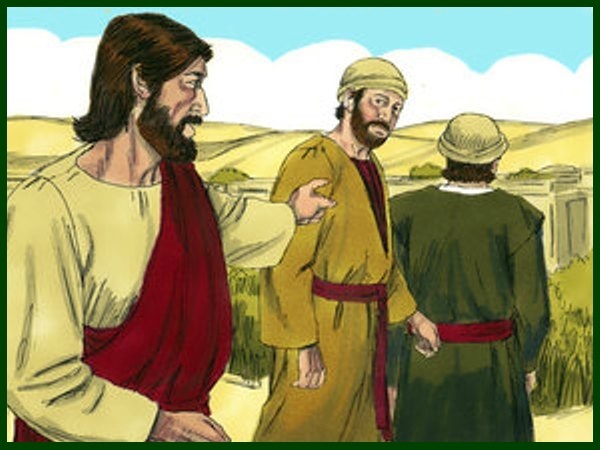 The records of this event are found in all four Gospels: Matthew 21:1-11; Mark 11:1-11; Luke 19:28-44 and John 12:12-19.
as it was customary for all Jews to do, since it was commanded by God to Moses in Exodus 12. 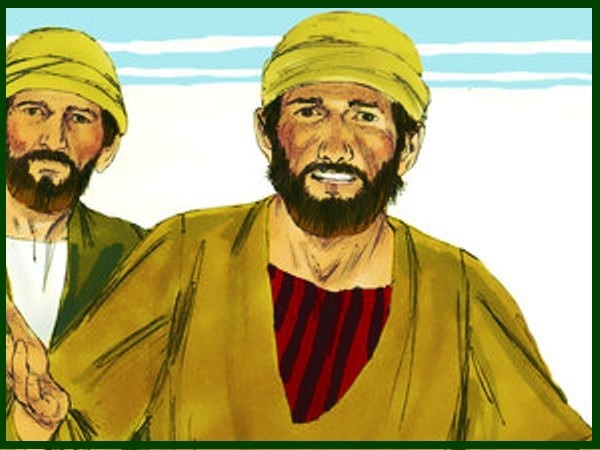 Now as Jesus and His disciples approached Jerusalem to celebrate the Passover, they came to two villages named Bethphage and Bethany who were located by the Mount of Olives. So they left. They found a colt out in the street. It was tied at a doorway. They untied it and some people standing there asked, “What are you doing? Why are you untying that colt?” They answered as Jesus had told them to. So the people let them go. 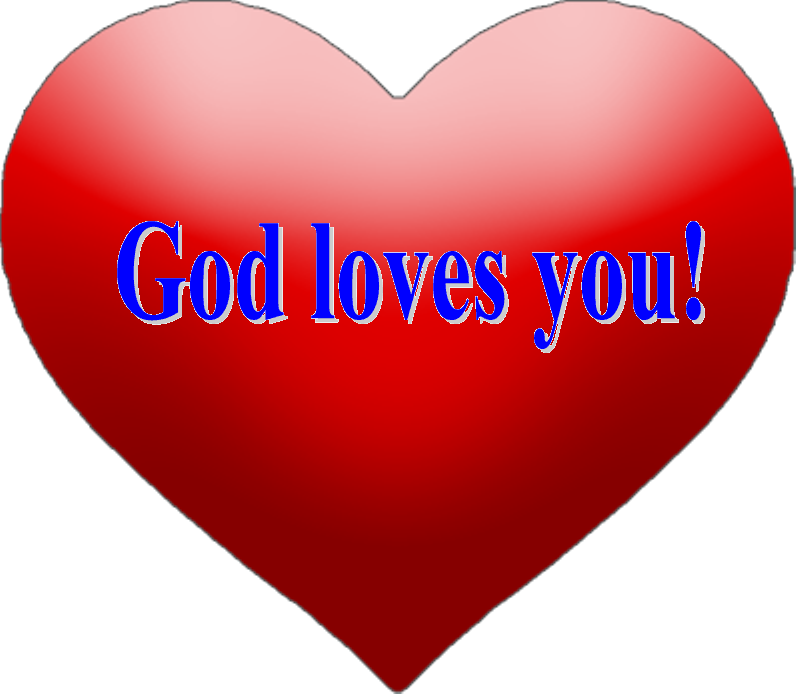 This took place so that what was spoken through the prophet Zechariah would come true. 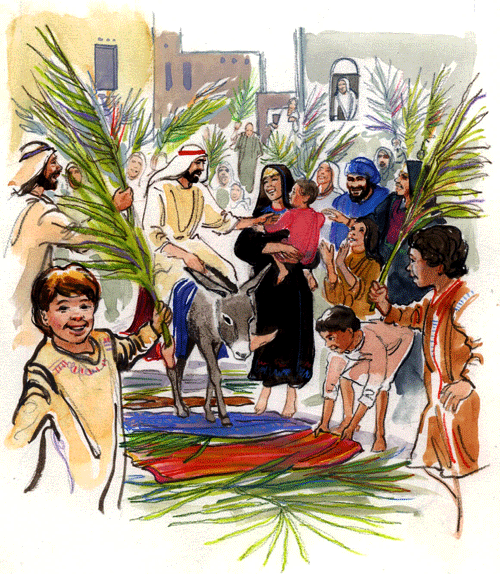 Did you know that the prophet Zechariah wrote that this would happen about 450 to 500 years before Jesus’ arrival in Jerusalem on this triumphal entry day? The disciples went and did what Jesus told them to do. They brought the donkey to Him. 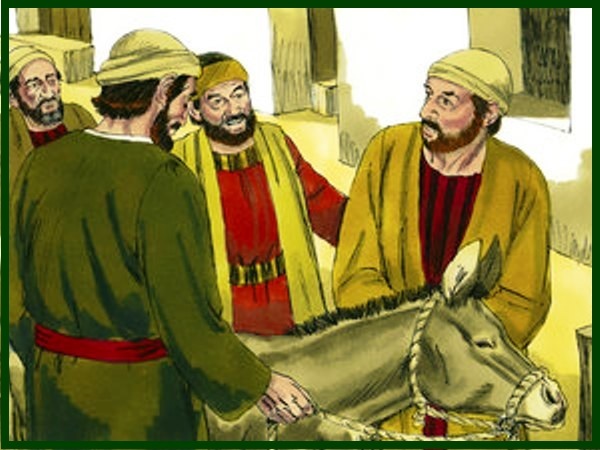 They placed their coats on donkey for Jesus to sit on. A very large crowd spread their cloaks on the road. Others cut branches from the trees and spread them on the road and others waved them in the air. Placing cloaks and palm branches in the path of someone was an act of respect and obedience. The people were actually for a moment, recognizing Jesus as their promised Messiah. There were many people and some went ahead of Jesus, and some followed Him. 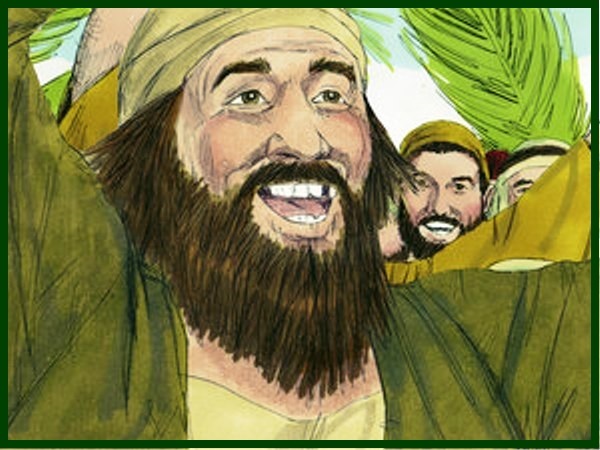 They all shouted, “Hosanna to the Son of David!” They where shouting for salvation and recognized that Jesus was able to save. 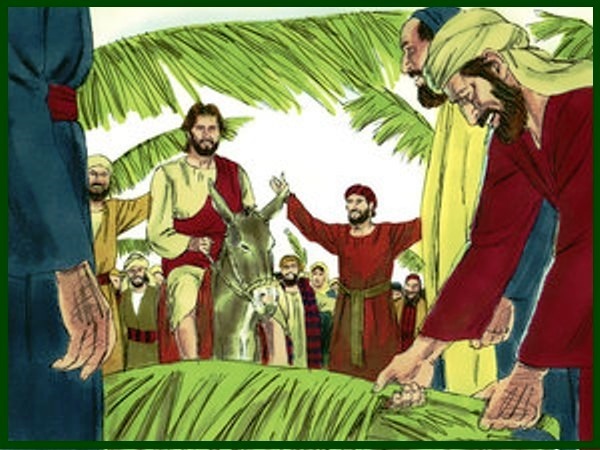 Hosanna means “save now.” However, despite what Jesus had foretold about His mission, the people were looking for a military Messiah who would overthrow the Romans who were ruling them and their county and restore Israel’s independence. They did not understand that Jesus had come to save them from their sins; He was going to be their Passover Lamb who would shed His blood to save them. 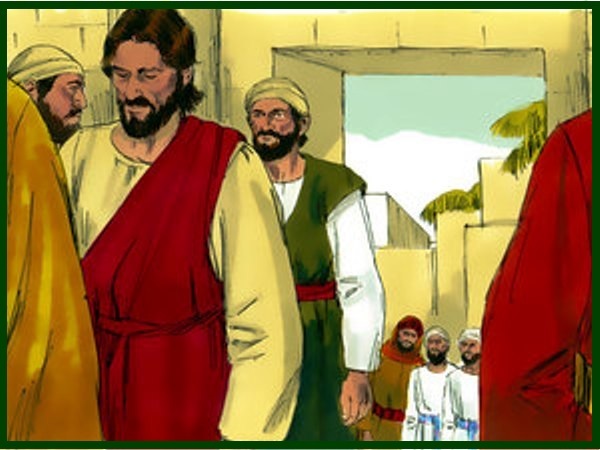 Then once Jesus entered Jerusalem, He went into the temple courtyard. He looked around at everything. 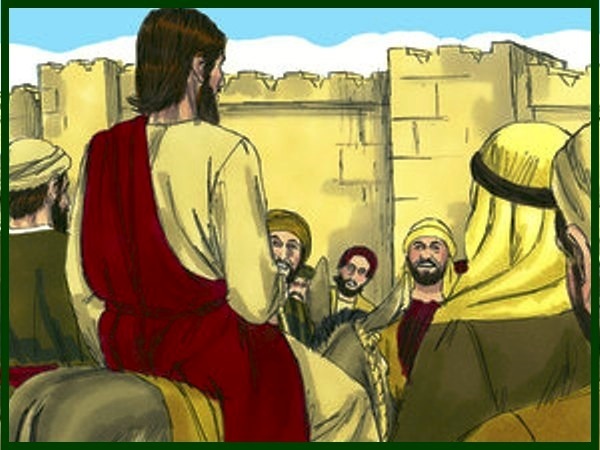 But it was already late, so He went out to Bethany with the twelve disciples. 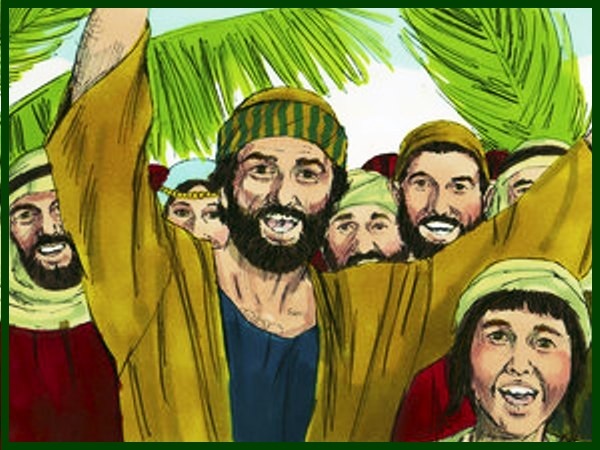 This was a very memorable day, but the very sad thing was that just a few days later; their hosanna shouts would change to shouts of “Crucify Him!” (Luke 23:20-21). Those who hailed Jesus as a King would soon reject and abandon Him, how sad.